Pastor Akhaya attended Gospel Garden Bible School where he received a diploma in Biblical studies and theology, and Bible/Biblical Studies in 2000. He has been faithfully pastoring the Kasule Community Bible Church in Kisumu, Kenya since June 2006. 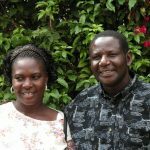 He is a church planter and member of the eastern presbytery of PCU and works with Pastor Morris Ogenga. Pastor Akhaya has coordinated and organized IBC pastors conferences in Kisumu where 10,000 Pastors, Bishops and church leaders have attended. 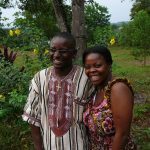 His goal is to see many pastors and church leaders correctly dividing the word of God in Africa. To see men of God with tools in their reach.